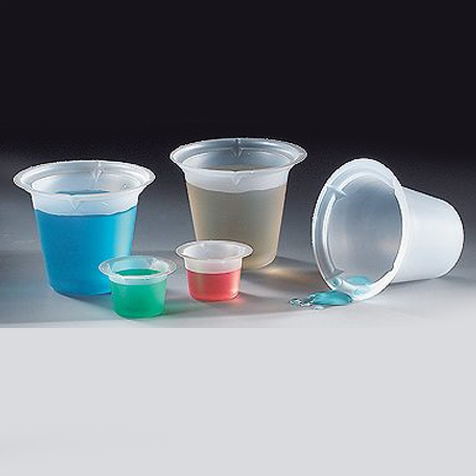 Disposable polystyrene (PS) beakers feature four-way pour spouts and are available in sizes ranging from 5mL to 1000mL volumes. The beakers can withstand temperatures up to 200°F and offer excellent chemical resistance to dilute or weak acids, aqueous solutions, alcohols and bases. The 5mL, 10mL, 20mL and 50mL size beakers are excellent for use with atomic absorption and flame photometers.